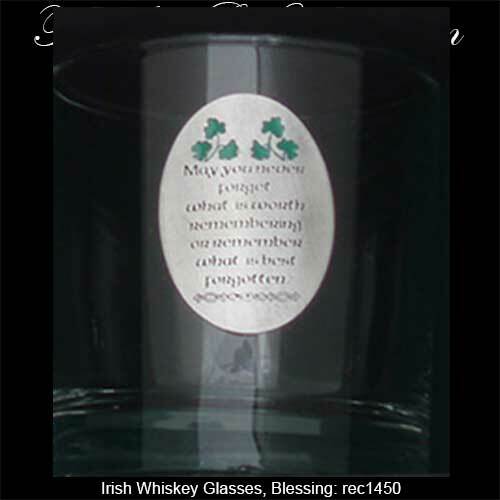 This set of Irish blessing whiskey glasses feature four different pewter emblems that are enhanced with green enamel shamrocks. 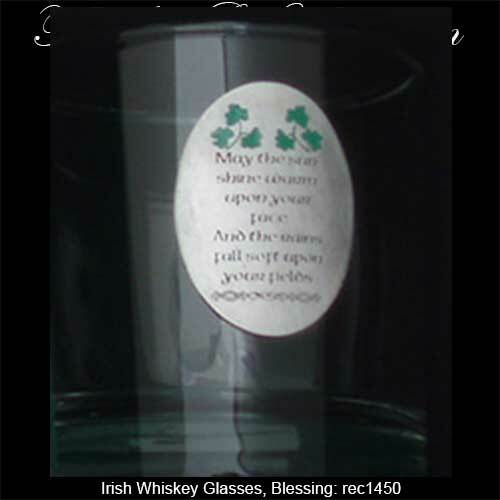 The Irish whiskey glasses are dishwasher safe and are made in the United States. 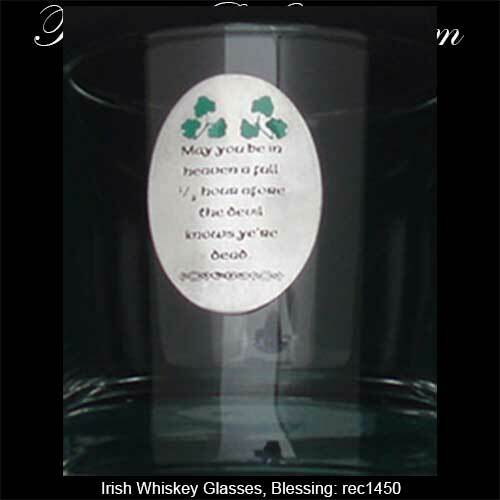 The Irish blessing lowball glasses hold 10 ounces of whiskey and are gift boxed with a shamrock history card, complements of The Irish Gift House. 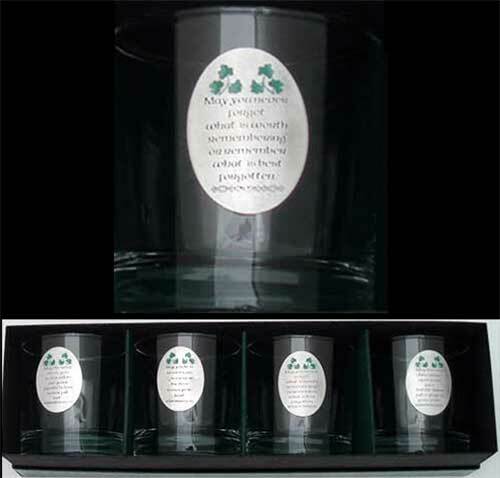 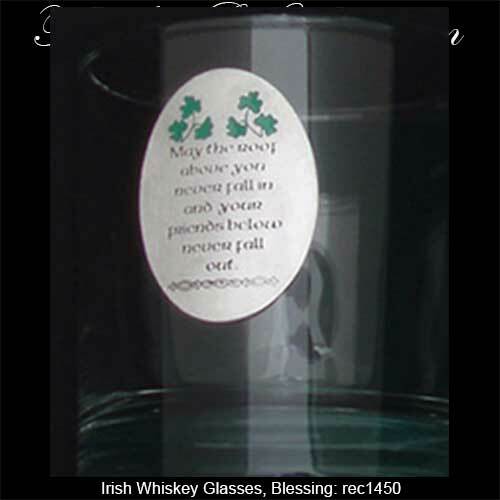 These Irish blessing glasses are sold as a boxed set of four.